Before I knew about Chewy Tubes, I searched for something for Ben to chew on that was not someone's hand, hair or electrical cord, and could withstand the pressure of his biting. I once purchased plumbing materials at a hardware store thinking I could use it for Ben. Then I found (or my mom told me about) Chewy Tubes. I get a lot of questions about Ben's Chewy Tube. I usually tell people that Ben needs something in his mouth to chew on and this serves as an appropriate way for him to meet that need. READ=Ben might bite your finger off if he did not have the chewy. They do the job - if Ben is satisfied with his chewy, he will leave his clothing and other items alone. Easy to clean. I wash them in the dishwasher. The solid "P", "Q" and red key-shaped (not pictured) chewies last a long time. The "T" Chewy Tubes are hollow and Ben has managed to bite off parts of the "T". This could be a safety hazard if he were to choke. So far, we are not sure where the missing pieces have gone. They are fairly expensive - between $6 and $9 each. Some sites offer free shipping, but the prices may be higher. It may be cheaper to buy larger quantities. Sites that sell Chewy Tubes - this list includes just a few of the places you may buy them. I use curling ribbon to attach the chewy to a lanyard with an alligator clip. It works well and so far it is the only thing Ben has not managed to break through or untie. Some children will tolerate wearing the chewy on a string around their neck, like a necklace. The week before Christmas, we visited a small town close to where we live, that has a long history of decorating for the holidays. The entire town - businesses and homes - participate by hanging lights, putting out Santas, reindeer and playing music. It is a beautiful sight. This year we were lucky to get a group together of teachers and their families who Ben has known since his preschool days. One family brought along Ben's former classmate. This photo shows them enjoying a bright reindeer together. The other photos are from other sites we saw on our walk. Special Exposure Wednesday, a part of 5 Minutes for Special Needs, is a wonderful way for families to share inspirational photos with others. Each week dozens of sites will post their photos - please check them out. As the children's choir sang on Christmas Eve, Ben got out of his seat and scooted himself closer and closer to the alter. He remained there throughout most of the service, with the pastor and other members of the church moving around him. Ben was quiet, calm and in the moment. It was a wonderful thing to witness. Ben brought this home from school. It is an Oriental Trading Company arts and craft kit. Need to use a glue gun. Magic Marker Monday is a creation through 5 Minutes for Special Needs, a website full of information, blogs and discussion groups. One way to celebrate life is to see it through art, and this site helps us share our children's creative masterpieces. Please check out the site. Grandma and Ben at a sports bar. I don’t have to tell you how wonderful it is to be a grandparent. All of a sudden it is your house they run to instead of run away from. You receive unconditional love; you get a picture every time you show up; great hugs, kisses and all around recognition for just being you. It is kind of like being a kid again. So there you have it, I am one happy grandma. Ben was my first grandchild. I think that once we knew that he was medically healthy, I set my mind to getting him to be all that he can be. I think at first I was a little too gung-ho and did not take into consideration the feelings that my child and her husband were experiencing. I was, you have to do this.. this .. and that. That’s just me. I like to find solutions to situations. I want to know the end result. Plus I am a special educator so I know a lot of what is out there. I think I did manage to offer some good suggestions. Vanessa is very good about taking advice, and I appreciate the fact that she does value my opinion. I eventually backed off and now I think we have a good balance of asking first, advising later. As for my Ben, he is truly a joy to behold. I believe he is a special gift to our family. It is difficult to put into words how wonderful he is. I know he can be difficult at times. I have witnessed a few of those times. But overall, Ben gives something special to everyone he meets. A smile, a laugh, a great big hug (sans hair pulling, please). He loves any attention given by children and adults. He has a special bond with Bob the Builder, something none of us can understand. He loves bananas and peanut butter, a taste he inherited from his great grandfather. He can stand at a table and get himself into a chair. He can feed himself with a spoon. He has excellent receptive language. He can melt your heart with a smile. So if you see him at the mall, park or sports bar (he goes for the TV’s) stop by and say hello. You will be rewarded with a smile, great interest in your jewelry or glasses or maybe he won’t look at you at all (that’s just him). So what is it like have a grandchild like Ben? It is as wonderful as having a grandchild like Logan, Sean, Jackson, Ethan and Samantha. Grandma with all her grandchildren and two daughters. Special Exposure Wednesday: This Santa's not camera shy! This was a nice surprise to find Santa in our photo. Last Tuesday, I spoke with two friends who I do not see on a regular basis. One friend shared a dream she had about Ben two months ago. We were all in front of the YMCA walking to our cars, ready to go down a staircase. My friend gave her hand to Ben to help him walk. In the dream, she said, he gave her this funny look, like, "I don't need your help." Ben was walking by himself, a bit hunched over, but walking on his own. I have had many friends and family tell me about this type of a dream, where Ben is walking or talking. It always makes me smile to think that people worry about Ben like we do, keep him in their thoughts and pray for his well-being. The other friend lives on the opposite side of the city, and we have not seen each other in a few years. She left a long message about a child she had heard about that had similar traits as Ben, and they had found something that helped the child. She wanted to send me the article about it. I have to admit, when I got the message, I definitely blew it off. So many people try to tell us about new therapies, cures, religious rituals and diets that we should try on Ben. My radar always goes up when I get another one. But this friend was determined and emailed me the article, The Boy Who Woke Up Late. At first I skimmed it, but then it got my attention and I read it all the way through. My heart started racing, my brain went into high gear - it all sounded like Ben. The cord wrapped around his neck, no one sure what he had, no talking or walking. Then I started thinking about signs - the family was from a beach we know well, two friends that I have not spoken to in ages contact me in the same day and mention Ben. I start doing the "what ifs", what if this was all some terrible nightmare and suddenly it would be over. I could feel my emotions bubbling inside and strange thoughts entering my head. After emails and phone calls to doctors, I found out that Ben most likely does not fit the profile for this particular genetic disorder. Although we will go ahead with some of the testing, I am not hopeful after hearing that he has passed other preliminary tests for this metabolic disorder years ago. All this took place from 7:30am to Noon on the same day. A roller coaster of emotions for me - from annoyance (of the article) to elation (of the possibilities) to doubt (of this working) to where I am now as I write this - sad. I am sad that I can be completely thrown into the hope of Ben being cured and get so excited and then be so let down in a manner of minutes. I guess I am disappointed in myself for not being happy with the way he is and wishing he could talk to us and walk around like other kids. I have asked myself the question without ever completely anwering it. If I could change Ben to be a typical kid, would I? Would I give up all the people we have met through Ben, all the experiences we have been through, possibly give up the strength of my relationship with my husband in order to have a typical Ben? It is a tough question, perhaps impossible, and one I am not willing or able to answer at this point in my life. This is a family tradition dating back to the 1970's when I was in second grade. My teacher, Mrs. West, taught us all how to make a Graham Cracker House. We used our individual milk carton from school lunch as the base, graham crackers for the walls, Royal Icing as the edible glue and lots of candy to decorate. Over the years with the help of a carpenter husband, the house has grown in size and intricacy. One year, the roof made from Big Red gum, looked like slate. Now with the kids involved, we make the building and the kids decorate. For the past two years, we have had a Graham Cracker House Building Party and several families from the neighborhood join us. Each family brings their own house setup and we all share the candy we bring. It's a lot of fun! • Approx a 12” x 12” cardboard or baking pan covered tightly in tin foil. This will serve as the platform for the house. If you use a baking pan, make sure it is not one you will need soon. • A cardboard foundation for the house such as individual juice boxes (taped together), box from snacks, cut off the bottom of a ½ gallon OJ or milk carton. This will determine the size of your house. I recommend small for your first one. • One-two boxes (depending on how big you want to make it) of honey graham crackers – any brand. • Tape the foundation firmly to the cardboard. Keep covered with a wet paper towel so it does not dry out. It can dry out quickly so make icing just before using. To use, put in a small plastic baggie with a small hole cut in the corner, then use like a pastry bag to let the icing out. This past weekend, we visited the Polar Express on the Great Smoky Mountain Railway. The train ride is setup like the famous movie Polar Express, based on the book by the same name. The train attendants are dressed like waiters, dancing down the aisles to the tunes from the movie, and a conductor punches each child's Golden Ticket. They serve hot cocoa and a chocolate Santa and then read the Polar Express book over a loud speaker. All the time, music is playing and the train is moving slowly to the North Pole. Once reaching the North Pole, a small town lit up for the festivities, Santa boards the train to give each boy and girl the magical first gift of Christmas, a silver bell. Meanwhile, we were seated in a four seat space - two pairs of seats facing each other. Sean, our youngest, sat staring in awe for the first 30 minutes. It was a lot for him to take in especially because he is in love with trains right now. Logan declared "This is awesome, better than Extreme Karate," an afterschool program he hopes to join in January. Ben was really happy and excited throughout the trip - constantly vocal and not happy sitting in one place. He stood on the seat trying to reach other people, lucky for us they were Grandpa and his friend. My husband and I took turns trying to hold him. I was counting the minutes until it would all be over. My body felt beat up from trying to keep Ben situated. It is hard to describe what Ben is like when he is happy, excited, vocal and super determined to do what he wants to do. 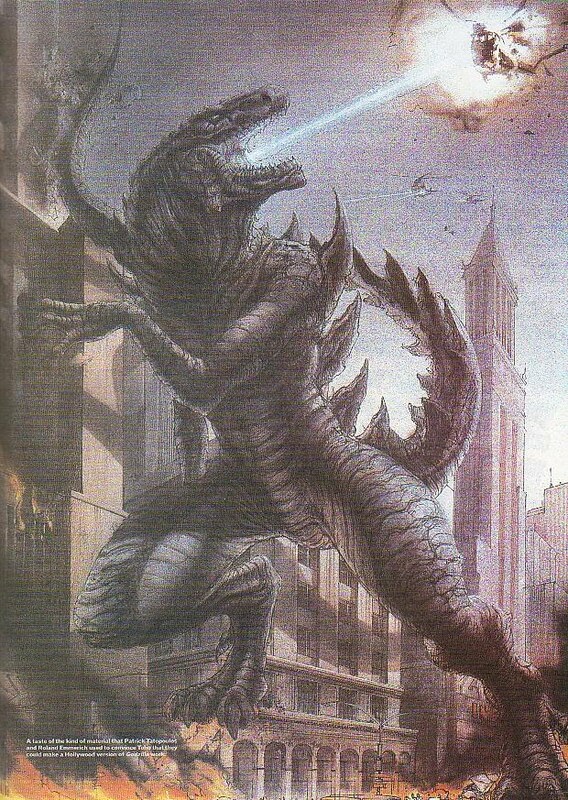 He is 40lbs of long strong limbs, a grip of steel and willpower that would put a top wrestler to shame. Add to that, his ability to not let up for one second. I am frazzled physically, mentally and emotionally when Santa gets to us. At first Santa bypassed Ben mumbling something I did not catch and gives our two younger boys the bells while asking them what they want for Christmas. Santa stood in the aisle, leaning over, while Logan told him he wanted Bakugans and a Laser. For a split second, I was annoyed that he ignored Ben. Then the soft spoken Santa sat down on the edge of the armrest and asked to hold Ben. I was confused at first, but then snapped to attention. Ryan and I quickly got Ben on Santa's lap, and suddenly for a few seconds, Ben got quiet and calm. Santa suggested we take a photo. It all happened very fast, a few seconds and this moment was over. I had the forethought before Santa even came to us to ask Grandpa to videotape - so I think he got the entire event. I have not watched it yet. I wonder if you can see me holding back my tears. Special Exposure Wednesday: Look, No Hands! Logan is four and learning to ride his bicycle with training wheels. His grandpa and grandma visited this weekend and he was showing off his new moves and feeling very proud of himself. In case anyone is catching up on this blog, I have committed to running 12 races in the 2010 year (the year of my 40th birthday) - one per month. Hair of the Dog is sponsored by the YMCA in Spartanburg, SC. This race is at 9:00am on New Year's Day and it is about a 90 minute drive from our house. Am I crazy? A bit, but there are no races in the city I live in during the month of January. This is the best I could find and the idea of it being on January 1 interests me. There is an old saying that says whatever you do on New Year's Day is what you will spend most of your time doing the rest of the year. Running could be a good way to spend this 2010. And word just in from my husband, he's considering walking the 2 mile route with the three kids. Okay, maybe this will all workout for the best. Wish me luck, or better yet, run a race too! Just in case you are wondering, like I was, what the heck Hair of the Dog means - check out the link to Wikipedia. Ben's class made this piece of artwork. This week, Ben brought home a lot of artwork, and I wasn't sure which one to choose until I saw this one. The theme is "Friends", and each child added their handprint to the paper. The computer program, Boardmaker was used to make pictures that represent Share, Play, Care, Help and Listen. A posting this week on 5 Minutes for Special Needs focused on how all kids need playdates and friends. This artwork seemed to be yet another reminder of how important it is. If you have a child with special needs, most likely, you will also have gadgets and gizmos that help your child learn to walk, talk, eat, drink, toilet train, sit-up straight and a whole host of other skills. Some gadgets and gizmos may be a medical necessity for your child – helping them to breathe, get nutrition or stay healthy. Whatever it may be, it takes time to find out about what is available and then learn the ins and outs of each piece of equipment. But when a real good tool comes along, it can be life changing for the child and even the family. Over the next few months, I am going to introduce a few of the items we have used. I am always surprised to find out about new equipment. I hope to spread the word about things that have been worth the time, effort and cost for us. The TAOS, Therapeutic Ambulatory Orthotic System, is what I am focusing on today. Not many people have ever heard of it, even physical therapists. It is actually Ben's latest gizmo – and it is seriously a gizmo – he looks like he is an astronaut about to walk the moon when he is all set in the TAOS. Ben gets a lot of “good” stares when he is in it because it is definitely “cool” looking. Kids usually want to know when it is their turn to use it. Ben has been using the TAOS since August. As you can see from the photos, it is an involved piece of equipment. I am here to tell you that it looks worse than it actually is. It’s very light weight, easy to move, take apart and assemble. It fits in a sedan type of car with pieces taken apart or fully assembled in a mini-van. It can be transported on a school bus too. It does take time to get Ben setup in the TAOS. First, his tall ankle-foot orthotics need to be on his feet. Then, while laying on the floor, we snap him into the “bodysuit.” Finally, we lift him up and hang the bodysuit, with Ben in it, onto the tall pole. Then Ben can walk around, hands-free. The PROS: With a traditional walker, Ben’s hands are engaged. In the TAOS Ben has full use of his arms and hands, allowing him to stand at a table to do activities. Ben can stay in this TAOS for a few hours. If he is motivated, he can move very quickly. The CONS: It does seem daunting to put Ben in the TAOS because of the steps involved. It is not easy to get him out to use the toilet. Once he is in, it is not likely you will take him out for a brief time and then put him back in. As Ben gets bigger and heavier, the idea of lifting him onto the pole with the bodysuit on is a scary thought. Of course, in the back of my mind, I hope this will help him build the muscle and strength to walk on his own or use a walker properly. Ben has access to everything when he is in the TAOS. This means safety becomes an issue. His ability to get to things he never has been able to is exciting, but the idea of him getting to dangerous items is scary. Supervision is still key! Since Thanksgiving, Ben’s school is using the TAOS three days a week with the school physical therapists and in the classroom during daily activities. Ben’s private physical therapists use it twice per week also. In addition, we use it on the weekends especially if we go to a place like a park, museum or play area with open space. Ben’s occupational therapist has built it in to one of his weekly sessions with Ben, making him gather puzzle pieces in one part of the house and carrying them to another part of the house. This year it took 28 photos to get the "best" Christmas Card Photo. They were all good in their own way - funny faces, poses and expressions. This is one of the 27 that did not make it this year. 5 Minutes for Special Needs, a blog I follow, had a posting last week about taking care of yourself. It basically said that we are so busy taking our kids to doctor and therapy appointments that we may overlook our own health. I do know that I need to stay physically fit as well as emotionally stable to handle the stress and physical work that is involved in raising Ben. I am fairly good about taking care of myself - I exercise almost every weekday, I read fiction to relax and get together with friends to unwind and share stories. It is sometimes a struggle to find the time to do the things I enjoy or even fight off the guilt of being selfish. I ran an 8k on Thanksgiving, not having run a race in more than two years. I forgot the enjoyment I got out of being with so many people also excited to be running. It was exhilarating. The best moment of the race was when I saw two kids pushing their dad, who was in a wheelchair. I wanted to say something positive to them, but I was worried it would somehow take away from their moment. I have been saying for two years that I want to enter my forties in great physical shape and health. I am turning 40 next November. After reading the posting and thinking about it all day, I was able to put my hopes into a solid challenge. • I am going to run one race every month during 2010. The races will be no less than a 5k (3.1 miles) and no more than a 10k (6.2 miles). Wish me luck - I will need support to finish all 12 races. *Photo courtesy of Carolina Snapshot. Ben made this at school from an egg carton. I think it is so clever! I am giving it to our local fire department as a thank you for participating in our neighborhood's Halloween Festival. Ben and Sean in search of the perfect tree. We had a great Thanksgiving. I ran an 8k in the morning, came back and we all jumped in the car to watch the last hour of the parade. We came home and ate pizza (really) and everyone except for Ben and me took long naps. Ben watched a movie, and I read a book. At 6pm, we went to our neighbors to pickup Thanksgiving leftovers, and then watched Miracle on 34th Street as a family. On the scale of holidays, this would have been close to a ten. But as they say, this too shall pass. By Friday night, something had taken over Ben. He started with his high pitched yelling, which we had not heard in a very long time. When the yelling starts, it is non-stop, loud and pierces the inner depths of your being. In addition, Ben was climbing, grabbing, kicking and out-of-control. His appetite was unending, eating ridiculous amounts of food and drinks. The items “Benzilla” left in his wake: a broken toilet tank cover, Balmex on the dresser and rug, near crash with my Christmas dishes and an almost burnt hand on the stove. My psyche is wounded right now. My shoulders are tense, I feel psychotic, guilty and very tired. I feel psychotic because the yelling/screaming goes through my bones and my brain feels like it has turned to mush. I feel guilty because we ended up locking him down in his chair for the rest of the weekend. I am yelling a lot at the other kids and my husband because I cannot take the strain anymore. I feel tired because Ben does not sleep a lot when he gets in this mood. I have been up for several nights. I was not going to write about this especially when I just checked my email and had all these wonderful comments about Ben standing and taking steps. Right now, I feel like that was a different world, another time and place. Alas, it was only 3 days ago. I decided to write about this because life is not rosy all the time. It has its ups and downs, moments to celebrate, moments to learn from and some, well, some are meant to be forgotten. But the bad moments do not negate the good ones. After writing this, I know I can get through this difficult time and be better prepared for the next time. Ben will eventually calm down to his usual self. I will remember that he is a kid just trying to do the best that he can, and that he is not trying to be Benzilla, just a boy with energy, a body he is unsure of and a curiosity about his surroundings and his capabilities. On the Wednesday before Thanksgiving, one of the moms in our family group facilitated a story time and craft project with ten children. The book was about the Thanksgiving Holiday. The mom, a former kindergarten teacher, did a great job of getting each child and parent to tell the group what they were thankful for this year. Children, husbands, family, friends, toys and brothers were some of the things mentioned. My four-year-old was thankful for his bones and the whole world. The group also sang a song, Ten Little Indians. Then they made Native American Headdress with construction paper, markers, glue and feathers. Although Ben helped make the headdress, he was adamant about not wearing it. Logan, his brother, is modeling it in the photo above. This may look like a very ordinary photo, but it is not. Ben is standing at the table on his own. Ben is six years old and it has taken him years of hard work, determination and many falls to get to this point. Even we, as his parents, will eventually take this photo for granted and not remember when this was such a struggle for him. But right now, I relish in the fact that he can get up on his own and try to steal a bit of his brother's lunch! Special Exposure Wednesday is a wonderful way for families to share inspirational photos with others. Each week dozens of sites will post their photos - please check them out. We are so fortunate right now to have a group of therapists working with Ben that are incredible. They are motivated to work with Ben, and they create a fun atmosphere while still challenging him. In turn, Ben is working the hardest he ever has and without many tantrums and poor behavior. For the first time, I am not on the lookout for a new therapist. The “Dream Team” comes to our house every Wednesday to co-treat speech and occupational therapy. Ben is genuinely excited to see them when they walk through the door. When you take his hands to walk, he leads you to his room for therapy to begin. Using behavior and play therapy, and combining speech and occupational therapy techniques, they have come up with a solid format for each session. They use a token board to reward his work and when it is complete, Ben can watch 2-3 minutes of a video. They have had to be flexible too. One sunny day, Ben did not want to leave the front porch, they changed the plan to an outside therapy session. The Dream Team’s communication with us has been great. They sit with us after each session and review what Ben did and what they thought worked well. So I have had a lot of experience with private therapists, both office and home visits. I have had therapists who were consistently late or no-shows, talked about their problems with me, diagnosed Ben with muscular dystrophy (she lasted two weeks), were unprepared, talked on their cell phone outside my front door, were perplexed by Ben, did not see Ben as the cutest most loveable boy ever…So I have seen it all. 2. Call if I will be late or unable to make the appointment. 3. Plan ahead for the session – have a schedule of activities, exercises and games. 4. Ask questions about what motivates your child and what might upset your child. 5. Be flexible – a child may not be up to the set plan that day. 6. Be honest with parents if I think my expertise and skill set may not match the needs of your child. 7. Speak up if I believe I am just not the right fit for this child for whatever reason. 1. Arrive on time or be home for the appointment. 2. Stay at home during the session if it is an in-home appointment or be in the waiting room at the end of the office appointment. 3. Be honest with our expectations. 4. Have a room or area ready for the therapy session, if it is at home. 5. Make sure our child is ready for the session, i.e. eaten, been to the bathroom. 6. Cancel the appointment if we will not be available. Call if we will be late. 7. Be honest with the therapist if we feel it is not a good fit for our child for whatever reason. 8. Be honest if we think that the therapist’s expertise and skill set do not match the needs of the child. 9. Keep interruptions to a minimum during the session, i.e. siblings, checking in on my child. Ideally, this would be handed out to both parties, discussed and signed at the first session. I would recommend that a time is set for review – one month for the first time and then every 6 months. If you have other items for the Therapy Bill of Rights to add, please feel free to send a comment! Ben brought these pieces of artwork home on Friday. I am excited to have Thanksgiving decorations to put around the house! These will be keepers. When Ben started school when he was two years old, my mom said, what I thought at the time was, the strangest thing. She said, “Make sure Ben always looks neat and is clean.” Like any daughter might, I thought she was crazy. Why of course Ben will be neat and clean, I would never let him out of the house any other way. Four years later, I still think about that comment. I make sure that Ben looks his best everyday – his hair is neat, clothes clean. There was a time when I gave Ben a bath every morning before school so his hair looked just right, but I gave that up after son #3 was born. And I realized it was a bit obsessive too. Now I keep his hair short and he gets a bath and a shampoo every night. Ben does have beautiful yet unruly hair. Our children with special needs may look and act differently, raise eyebrows and get stares. The last thing we want is for their hair to be a mess, clothes dirty or disheveled. I get what my mom was saying - Ben's different, but don't make him any more different than he has to be. But with all the challenges in our way, dressing and hygiene care seem like more hurdles to stumble over. I would argue that it is a necessary obstacle for parents to overcome for every child, typical or otherwise. Whether we agree with it or not, people are judged by their appearance. A clean, properly dressed child is treated with more respect than one who smells bad or has on dirty clothing. We have been very fortunate to have had many friends pass down their children’s clothing. Thrift stores, yard sales and consignment shops offer amazing ways to clothe your children. There are also community agencies and church groups that offer free or low cost clothing for families. I know the time and effort we take to make sure Ben’s outward appearance is clean and neat makes him more approachable, helping pave the way for friendships, mentoring and furthering his growth. My friends and I were saying the other day how easy Carol Brady had it on the TV show “The Brady Bunch.” She had Alice to grocery shop, make the kids lunches, do laundry and housework. If I had an Alice, my mornings would be calm, not the tornado-like, clock-watching, running around, losing-my-mind type that I face every morning. On Friday as Ben was getting on the bus, I commented to the bus driver that I may have overdressed him because it is hot outside. The bus driver looked at me funny and said that it was very cold out. Then I realized I had run a mini-marathon inside my house digging up shoes, chewies, coats, breakfast dishes, homework and anything else that fell in my path. • Plan the clothes out the night before. I set everything up so that I am not scrambling in the morning. • Take baths at night. • Set the routine for the morning. My middle son who is four years old has a list of 5 things he must do every morning (get dressed, brush teeth, eat breakfast, make bed, put shoes on). The list has words with pictures, since he cannot read yet. If he does all 5 things, he gets a vitamin as a reward. • Everyday of the week is a special breakfast day – Monday is waffles, Tuesday is Oatmeal, etc. No need to figure out what every one wants or go through a list of available foods each day. • Mondays and Thursdays are “buy lunch at school” days. Mondays are always hectic and it means one less thing for me to think about in the morning and by Thursday, I may have run out of food. • I try to get up 30 minutes before the kids so I can get dressed and have breakfast ready. This does not happen often, but when it does, the mornings are calmer. • I put the shoes in one place every night. *Successful in my world means that Ben is ready when the bus arrives and Logan gets walked to school on time. I try to follow the routine, but I am a big believer in doing what you’ve got to do to get through it all. I’ve given candy to pacify, turned the TV on for longer than I should, fed Ben breakfast on the potty to save time, and brought the baby to Logan’s school in his pajamas. After so many years of being inflexible, I can bend like a pretzel. In October, Bendigo at Bendigo's Rage bestowed The One Lovely Blog Award upon me. It is a wonderful way for blogger's work to be appreciated and at the same time increase readership. At the very least, it makes someone feel very special to be chosen, I know I did. Instead of posting all 15 blogs at once, I am listing a few at a time. I said in an earlier posting that I do take this seriously so I have been reading to find what blogs I want to list. I have found a few more. These blogs were chosen because I found them interesting in content, the writer's background is different (than me) and after going through blog after blog, they made me stop and want to read further. I do not necessarily agree with all the content or opinions, and they are not necessarily all about children or special needs, but I was impressed with what they are trying to accomplish. Ben used Crayola Twistables Slick Stix - super smooth to create this art work. It is hard for Ben to put pressure on paper, but these crayons are magical. All Ben has to do is touch the paper with the crayon and a large mark is made. I bought them at Target for a reasonable price! I cannot take credit for finding them, Ben's teacher discovered them and I got some for use at home. And as long as I am confessing, he did this artwork at school too. Gifts – I know for our son, Ben, who has little interest in toys, finding presents for him to open during the holidays is a challenge. The little voice in my head keeps saying, “What will Ben open? What will Ben get excited about?” Changing our expectations of Ben being excited about gifts helped quite a bit. We ask grandparents to pay for tickets to the circus, which unexpectedly has become a tradition. Some of the best gifts for Ben are movie passes and gift cards for ice cream. These gifts become a one-on-one time with Mom or Dad, which can be extra special too. So we are patient, because Ben's face lights up when he sees the clowns at the circus, enters the parking lot at the movies or sits down in our local ice cream parlor. Traditions - Create new traditions that work for your situation. Volunteer at a non-profit organization. You would be surprised how your child with special needs can help out, observe or just be a part of the hustle and bustle of holiday activity. Ben loves going places - so we go to McAdenville, a small town that lights up for the holiday season. We go on the "Polar Express" and holiday caroling with neighbors. Foods – Your child may be on a special diet or allergic to certain foods or you might just have too much going on to cook a three course meal. An occassional holiday dinner delivered to your door in 30 minutes will be very memorable. Change the Day – Sometimes you or a family member have to work on the exact date of the holiday or family cannot visit until the day after. Change the day – no one will know or care. Or if you have to work and need the extra day for traveling or cooking, change the day. When you look back at the photos, it will be the smiling faces that will matter, not the date on the calendar. So this year, give yourself permission to do it differently, be imperfect and change it up. The most important thing is that you are with your family even if it is with frozen pizza, curlers in your hair and dirty dishes on the counter. BTW - This year, we are having a quiet Thanksgiving at home with just the five of us. And I am looking forward to pepperoni pizza for dinner and frozen apple pie for dessert, served on paper plates! In 2006, three families started a neighborhood club. At that time, our main reason for forming was to setup a babysitting cooperative. I would watch their child one afternoon and then they would repay me the next day or week. The group has since grown to 25 families, a website, guidelines and all types of activities and annual traditions. Today, school was out so I put out an invitation for parents to come over with their kids to make turkeys using felt, feathers and glue. In the end, the house was full of seven boys and one girl – running around, creating turkeys and watching movies. Ben was in the mix of all this, although he absolutely refused to make a turkey or watch Peter Pan. He followed the crowd or spent time in his room watching “Bob”, depending on his mood. On three separate occasions, Ben pulled the little girl’s hair. In his defense, she has lovely hair and the first two times, it was within inches of his hands. The last time, she had learned her lesson and sat a distance away with a bed in between. If Ben were not a persistent, determined and sneaky child, she would have been okay. Ben crawled into the bed, over the side and well you can imagine. I have had my hair pulled by Ben and it hurts a lot. And when you are a sweet two year old girl, just minding her own business, it is frightening to have this very loud, red headed boy, twice your size pull your hair. After one of these “incidents”, the little girl’s father consoled her. He said, one day you will read “Of Mice and Men” and you will understand. The comment did not sink in right away. It was more like a bee sting that takes awhile for the poison to get to the blood. It took awhile for the Dad’s words to get to the part of my brain that could fully process their meaning. And when it did, I was angry, shocked and mortified. I also had to clear cobwebs from my brain to remember exactly what that book was about – I had last read it in high school. And then I was even more upset that my son was being compared to a mentally retarded man who kills another human being. And then I thought, don’t jump to conclusions, perhaps I am wrong and the Dad meant something nice. I have been known to jump to conclusions and do ridiculous things, but I digress. When Ryan came home I told him the story, and he confirmed my suspicions, that it indeed was not a good comment. This story actually has a nice ending. So just a half hour ago, I wrote notes about what I would say to him. I had decided that a phone call would be best because I did not want this to be a public hanging and didn’t want to call a private meeting. And, well we all know how emails can be misconstrued and then forwarded to the world. Felt the need to address an inappropriate comment. Acknowledged that the comment was not intended to be mean. Apologized again for Ben’s actions. Explained that comparing Ben to “Of Mice and Men” was hurtful. Offered books that are for children that talk about people with special needs, and one that specifically talks about Ben’s diagnosis. The Dad’s reaction could not have been kinder, gentler or less defensive. He apologized profusely. He said all the right things, and genuinely seemed to mean them. He gladly accepted my offer of books to read to his girls. He admitted he was at a loss of words when his daughter’s hair was pulled. And he’s not sure how to teach his daughters about kids like Ben. So this story does have a happy ending. This was my first time addressing a negative comment and having a very positive outcome. I am proud of myself for handling it maturely, carefully and with sensitivity. I am again reminded that the intentions behind people’s comments are not what we may make them out to be. They are typically unsure, even scared about what to say or do in an unfamiliar situation. But aren’t we all? Let me start this off by saying that I am the kind of person who will make a “to do” list that will include “Plan something spontaneous.” And I see nothing wrong with that. So the call I was getting was to ask if my husband and I would be willing to go on short notice the next week - Thursday and Friday to Myrtle Beach. I didn’t say, “Hell, YES!” – I am way too polite for that, but you bet your ______, I was thinking it. So Ryan and I drove to Myrtle Beach Thursday morning for a quick trip to the ocean. And did I mention Thursday was my birthday? Things just seem to come together sometimes. I think more than anything that made this mini-vacation so great was that it was spontaneous. We never would have planned a trip away from the kids in less than a week’s time. We would have felt guilty taking off from work and asking friends to watch the kids…but because it was “given” to us, everyone jumped in to help make it work. Marriage for everyone is hard work. Add any special situation, and it intensifies the experience. The communication, unconditional support, respect and friendship all need to be there for a successful relationship. We all have to take the time to develop it and then keep it going with very regular maintenance, which can very happily happen spontaneously! Who knew? A few things happened yesterday that amazed me. At our neighborhood Halloween Festival, Ben was taking his usual rest from his walker by plopping down on the ground. His 1½ year old brother came up to him and offered his hands to help Ben get up. Then Raggs arrived. He is a 7 foot tall dog who has his own show on PBS. Ben watches this show often. When it came to Ben’s turn to give Raggs a hug, he would not let go. I mean he really would not let go. Ben was giving Raggs probably the best hug he has ever received. After peeling Ben away, Raggs kept coming back to Ben for more hugs. Their final farewell was sad to watch, Ben did not want to leave. I was amazed by the kindness that both Sean and Raggs showed Ben. It started me thinking about how many people helped us get through Ben’s surgery and week of recovery. We had friends who picked up Logan from school, brought us dinner and told us to call if we needed anything. Grandparents offered to help. My sister sent a gift card to Ben’s favorite local ice cream shop. So many people sent prayers and good thoughts through phone calls, emails and Facebook. Kim, our own Wonder Woman, made sure she was available the whole week to help lessen our load. They might not wear a cape, fly through the air or leap over tall buildings, but they are still Superheroes with powers of extra hands, free time, big-heart generosity and extreme thoughtfulness. We never felt isolated last week. If we needed anything, we had people all around us who we could call upon. Ben ended up having his own Superhero recovery so it was an easier week than we expected. One of my very best friends from a long time ago called me last week to talk about her baby who is undergoing testing for medical and developmental issues. Understandably, she is upset, sad, tired, discouraged…all the normal feelings you have when you find out your child has special needs. In the middle of her sharing about her difficult time, she apologized for not being there for me when I was going through the same thing several years ago. She told me she never understood what I was going through until now. She wished she had been a better friend to me back then. I was dumbstruck when she said it. I kind of blew it off and told her not to even give it a second thought. And I meant for her to not give it a second thought. I, on the other hand, have given it many thoughts. I even cried when we got off the phone (and remember I am not a crier.) For someone to say what she said to me meant a lot. I have no anger or bad feelings to anyone who does not understand what we went through in the beginning and what we go through every day. The acknowledgement from my friend helps to validate my experience, my feelings and situation. It helps me feel normal. There are times when I have hurt thinking about things I never dreamed of when it came to Ben, and I have felt alone, misunderstood and psychotic. The feelings can be deep. And it seems like no one could possibly understand. On the other hand, it is frustrating and confusing when they do not understand. For someone to truly understand what another person is going through, they have to be willing to feel those painful emotions. And who really wants to go there if they don’t have to. So I say to my friend, thank you for sharing your feelings with me. It has made me feel stronger, more loved and better understood. Your honesty is the best support you could have given me. My Kid Won’t Learn from Your Kid. Many times during our life, if we are truly challenging our own personal growth - we will come face-to-face with our own prejudices. I have had several in my 39 years – one of the first was when I moved to the south when I was 17. I had some fairly strong stereotypes about Southerners – and very quickly at the university I attended, those stereotypes were laid to rest. In my more recent history, I was struck by my prejudices about children with special needs. When first researching classroom environments for Ben, I definitely had the notion that he would only benefit from being in an inclusion class. There are many reasons parents want their child in inclusion – it is more “normal”, curriculum is rigorous and if your child is going to learn from their peers, you want those peers to be typical. When it was all said and done, Ben’s best placement was in a self-contained classroom, a class with a teacher trained in special education with two assistants and 9 children, all with differing special needs. Looking back now, I ask myself, “How could I have been so narrow-minded?” By discounting what children with special needs could teach my son, I am at the same time taking away Ben’s gifts. I know our Ben can offer friendship, love, courage, strength, determination, warmth, kindness, laughter and patience to his classmates. It is a family’s decision to place their child in the best school setting – different ones work for all types of individuals. My only question for anyone facing this type of decision is, “What negative thoughts, fears or stereotypes do you have that could be getting in the way of making the best decision possible for your child?” If you have, at the very least, examined yourself, you are headed in the right direction. Ben is home and recovering very well from his surgery on Friday. I am physically tired and emotionally drained from the entire experience. I think he feels better than I do from the amount of energy he seems to possess. Thank you for all your well wishes, prayers and good thoughts - Ben received all of them and perhaps that is why he is ready to party while we are ready for sleep. That are so easy to get rid of with a simple operation. Are not as important as say our heart, lung and knee. Hey, what happens to the thing that hangs in between? Ben is having his tonsils removed on Friday, October 23. His deviated septum and other nasal issues will hopefully be fixed too. Please keep him in your thoughts and prayers. After two brain scans, genetic testing, three neurologists, a developmental pediatrician and Duke Children’s Hospital, we gave up on the idea of a label for Ben's disability. About 25% of children with special needs supposedly have a “non-diagnosis.” We were fairly comfortable in this category. Plus the searching was getting expensive, disappointing and tiring. On our fourth neurologist, we hit the jackpot. I brought Ben’s 2 MRI scans with me. Before seeing us, the doctor reviewed them. The neurologist walked into the room with a few brochures and said, “Ben has hypoplasia of the corpus callosum.” The doctor explained about the organizations involved in research and support, and she suggested we sign Ben up for the study in California. I read the brochures and sure enough, Ben fit. Hypoplasia of the Corpus Callosum in plain language means the bundle of 200,000 nerves that connects your left and right brain (corpus callosum) is thin (hypoplasia), about 60%. For some reason the other neurologists noticed the thin bundle of nerves and told us about it, but did not acknowledge it as the cause for Ben’s delayed development. No one ever spoke about the ACC Network or the research in California. To this day, I wonder how so many doctors were unaware of ACC. It seems that typically functioning people could have a missing corpus callosum, called Agenesis of the Corpus Callosum or ACC. Others may have partial ACC, or p-ACC and again be functioning normally. It is because more MRIs of the brain are taken nowadays that we even have this information. The adults and children diagnosed with some form of ACC (agenesis, partial or thin) may have other disorders as well, complicating the ability to figure out what exactly ACC affects. Some people with ACC may develop at a slower rate than their peers and may have small delays. Others have severe physical, communication or cognitive delays. So there is no set prognosis, and there is not enough research on ACC. Ben is a part of the study in San Francisco where they are doing extensive research. Ben’s neurologist suggests that he probably has some other genetic disorder in addition to the thin corpus callosum. Right now, we have made the decision to direct our financial and emotional resources toward intervention strategies and therapies, rather than expensive and sometimes inconclusive genetic testing. Ben’s development is severely delayed; however, he makes steady progress in most areas. Ben uses a walker at school to get around and picture cards to make decisions and communicate his needs. His receptive language is far superior than his expressive, although he makes his needs known one way or another. As with any family with a child with special needs, we take everything day by day, celebrating the successes, high-fiving the progress and moving past the failures...nope no failures here, just places that can be changed, improved and made better. ACC or not, Ben is our kid, that's his main label. In keeping with the tradition of the "One Lovely Blog Award" and passing the torch to 15 other blogs, here are my first four. I took my job seriously and read through many blogs, probably too many because I had a nightmare about blogs in the middle of the night. I chose these blogs because I think they have a writing style that is open and honest while being informative. Try them out! I will pass on the remaining 11 sites in the next few weeks. Two weeks ago, I read a website about a little baby who has severe facial abnormalities that are fairly uncommon. The parents, who seem to be amazing advocates, were able to introduce their child to the town with an article in the local paper about her disability. The parents hoped to make introductions simple – they said, we’d love for you to come and talk with us, but we welcome a wave hello too. They were positive and open, and they gave easy instructions for friendly neighbors on what to do if they were seen out and about town. Most people do not know how to react, what to say, where to look. So rather than be uncomfortable, they just ignore the whole situation, which comes off as being rude and ignorant. Or if they do take the risk and talk to the family, they may ask a question that may not be taken well by the parents. When I was in college, I roomed with someone from St. Croix. My first comment to her parents was, “So your daughter is an international student.” Her wonderful parents did not laugh at my ignorance, just informed me that St. Croix is part of the US Virgin Islands. My question was handled so well by them. They did not make me feel stupid or dumb. Cheru came to be one of my dearest friends, and she allowed me to ask all types of crazy questions about her hometown and being Black. My friendship with Cheru helped me to form relationships later with people very different from me. It also laid the groundwork for me to be accepting of people who ask questions about Ben when we are in public. I am able to answer their questions, trusting that their curiosity comes from a caring place. Not only do we as the parents take risks, but those who care enough to open their hearts to a new experience take a risk too. When I started this blog just a few short weeks ago, I did not expect to find a community of support. To tell you the truth, my knowledge of blogs was extremely limited. Last week, I looked up blog etiquette to make sure I was not offending anyone with what I was writing, saying or posting. I have emailed my cousin in desperation looking for technical advice. So I am very new at this. 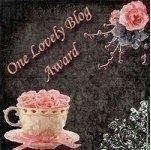 Today, I received this "One Lovely Blog Award" from a fellow blogger. I am touched. I am happy to be part of this group of warm and fuzzy people who support one another and help get each other's messages out. And the funny thing is, we are basically strangers to each other, until we read a blog and identify with someone through their funny story, sad experience or goofy mistake. I know it is a cliche, but "It's a small world." Contact the bloggers to let them know they have been chosen for this award. Bendigo at http://bendigosrage.blogspot.com/ bestowed this award upon me, and I accept this award. Thank you for your kind words and loyal reading. Over the next few weeks I will take the time to give out this award to 15 other worthy bloggers. Early in my career as Ben’s mom, there were some situations where I was adversarial in my responses and reactions to circumstances where I thought Ben’s needs were not being met. With guns loaded, ready to fire, I would take out anyone who I thought might not be giving Ben the best possible care. Instead of making the situation more positive, I may have alienated the people who could really help me. I realize now that almost everyone wants to provide the best they can for Ben or any other child that has a special need. Like with anything that is sensitive and very personal, misunderstandings happen easily and can add to an already emotionally charged issue. The parents have emotions about what they expect for their child and others have emotions about the unknown. Fear, uncertainty, worry are all floating just beneath the conversations you may have when you are asking for assistance for your child. Being an advocate means partnering with others, building relationships and being aware of the underlying emotional obstacles everyone, including yourself, may have. It also means taking initiative, doing a large share of the work and showing your appreciation over and over. Assume the people around your child want to help, are knowledgeable and can offer their own ideas based on experiences they have had. Sometimes change may happen slowly, but that could mean you have more people on board, the action is the right one and everyone feels good about what has been done. If you are a parent of a child in school and that child has a special need, you have experienced the IEP – Individual Education Plan - meeting. Endless information about IEP documents and meetings can be found at conferences and in magazines, books and websites. Unfortunately, there are many horror stories about IEPs. Anxiety, fear and dread would probably be on most people’s list of how they feel about the meeting. I do not love the IEP meeting, but I do not dread them anymore either. I believe that this meeting can be successful – meaning your child’s educational goals are met with little stress and anxiety. These suggestions are based on what I’ve learned from researching and participating in IEP meetings for the past three years. Bring Food. Donuts, muffins, cookies and juice and/or coffee make friends. Food puts everyone in a good mood, and it makes the atmosphere less tense. And in some cases, it may serve a very practical purpose - teachers and other school staff do not get much time to eat during the day, especially during IEP time. Everyone will appreciate your effort. Bring your Posse. At an IEP meeting, the school is required to have several people there to represent many different aspects of the educational system. You could walk into a room with 5 or 6 school members and feel intimidated. Bring a friend, a husband, past teacher and/or private therapist. The people you bring may never have to speak up, but you know they are there for you and will provide support if needed. Do your Homework. Look at the Wright’s Law website, read about what to expect in the meeting, review current laws and the draft IEP, attend any local workshops about IEP’s and write down questions to ask. Know what is most important to you in regard to the IEP. What goals will you not budge on? What services are you not willing to give up? What changes do you want made? What do you want to stay the same? Take the Pressure Off. I made the mistake early in my IEP experience of bringing my one-year old with me to a meeting. I was stressed trying to take care of him while trying to understand what the school was saying about Ben. And I had to rush things along because one-year olds don’t do 2 hour meetings. So, arrive to the meeting early, get a babysitter for any little ones and clear your calendar for many hours. Adjust your Attitude. At a Wright’s Law Conference I attended a few years ago, they stressed the importance of the way in which you present yourself at the meeting. Entering the meeting feeling angry, frustrated or defensive will only set the tone for a stressful meeting, sometimes placing the school staff as the “enemy.” Another common mistake parents can make is to come into an IEP meeting with the “know-it-all” attitude. An open mind and a positive disposition can help people hear what you have to say; especially if you have done your homework and can discuss points intelligently.